There is no recipe for building a great workout because every person is so different in their physical make up, abilities and goals. However; there are certain elements that a workout must have to be effective and purposeful regardless of the person. The secret lies in the reality that all human beings move the same. Knee flexion is knee flexion whether someone is 9 or 90. Muscle fibers, motor neurons and fascia behave the same in my body as they do in Usain Bolt’s (unfortunately for me that’s where the similarities stop). Knowing this, there are some key elements we can build into all workouts to give our programming a solid foundation that will help us create effective workouts that improve performance and decrease the risk of injury. Strength is producing force and stability is resisting force. We have to be stable before we can be strong. The focus on core training should always be stability before strength (sorry to all the crunch lovers out there). Use various exercises that challenge the body to maintain a neutral spine and good posture when some sort of resistance is met. The plank is the gold standard but I also really like Kettlebell Goblet Squats. Just because it’s Monday does not mean you have to blast your pecs with 15 different exercises at 4 sets each. The Posterior chain (back of body) is a key player in postural and movement health and between too much anterior chain training and excessive sitting it becomes very over stretched and weak. Shoot for a 2 to 1 ratio of posterior to anterior exercises in a workout, especially in the upper body. Injuries don’t usually happen on the jump, it’s the landing that will get you. The force that comes from impacting the ground has to go somewhere so it’s important to train the body to be as efficient as possible when absorbing force. Focus on deceleration training to help people perform better and stay injury free. Teach them first how to properly absorb force through triple flexion of the lower body (with good posture) before producing force through triple extension. What goes up must come down. Strength or endurance? BOTH!! The body has 3 major types of skeletal muscle fibers; not training them all will leave us severely out of balance and will leave our unchallenged energy systems that drive the neglected fibers inadequate at best. Make sure to vary work to rest ratios to challenge various muscle fibers and energy systems to produce high performing people. Use ratios from 3(work):1(rest) all the way to 1(work):6(rest) and remember you can only be truly “explosive” for 10-20 seconds (max) and unless rest time is given you are just training endurance. The body works in connected “lines” of muscles and not as individual muscles as we often like to think it does. What happens in one muscle affects the entire line; it is this understanding that has made yoga and Pilates so effective in the training world. Steal some pages from yoga’s book and incorporate various stretches and poses that lengthen key lines of the body to remove restriction and help the body move more naturally. 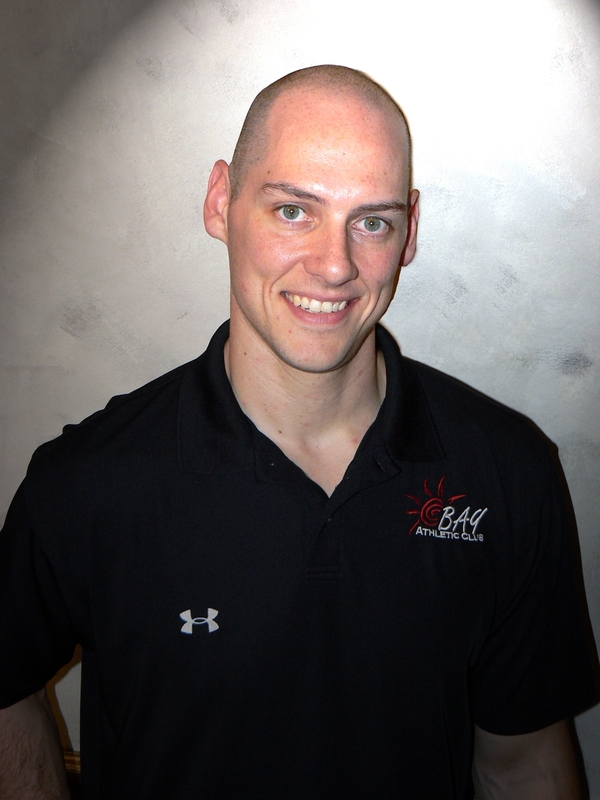 Casey Stutzman is the Head Trainer and Director of Education at Bay Athletic Club in Alpena, Michigan. He uses his experience as a Division I college football player, amateur bodybuilder, and strongman competitor to help others reach their goals. In addition to serving as a personal trainer, Casey teaches Boot Camp classes, small group training sessions, and works with the Athletic Club Corporate Fit Challenge program. He also develops strength and conditioning programs and does performance training for a number of local athletic organizations and high school teams. As a Combine 360 Master trainer and Master Instructor for TRX® Casey travels North America to educate and connect with fitness professionals to help them offer more to their clients and athletes. Very excited to write this guest post for Laura. She has an amazing blog for fitness professionals and I was honored to contribute.